Preheat grill on high heat. After grill is heated, clean grate with grill brush. Reduce heat to medium high heat. Generously oil the grill grate by squirting some vegetable oil on a paper towel and using grill tongs, rub the oil on the grill grate. Season salmon fillets with salt and pepper. 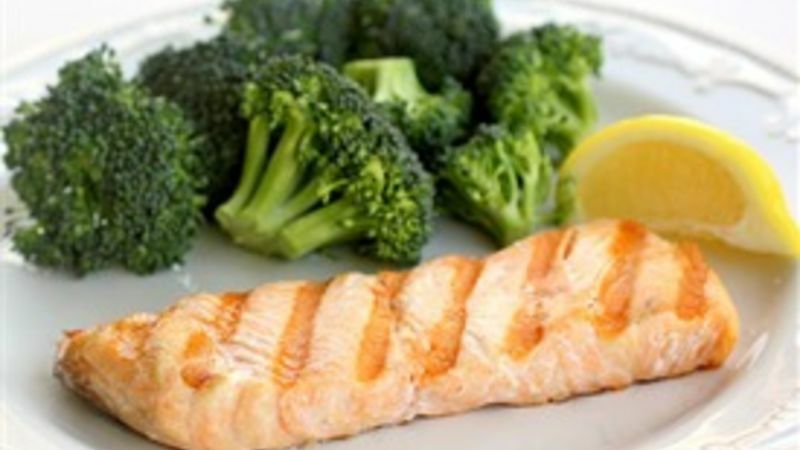 Place salmon diagonally on the grill grate. Grill salmon for 3-4 minutes per inch of thickness on each side with the lid closed. Salmon is done when it flakes easily with a fork. Salmon should be slightly firm and opaque in color. Squeeze with a little lemon and enjoy! The beauty of this grilled salmon recipe is twofold. Not only is it incredibly easy but it’s also insanely flavorful. The hardest part of preparing salmon (or any seafood for that matter) is resisting the urge to over-cook it, which will result in a dry, rubbery texture.